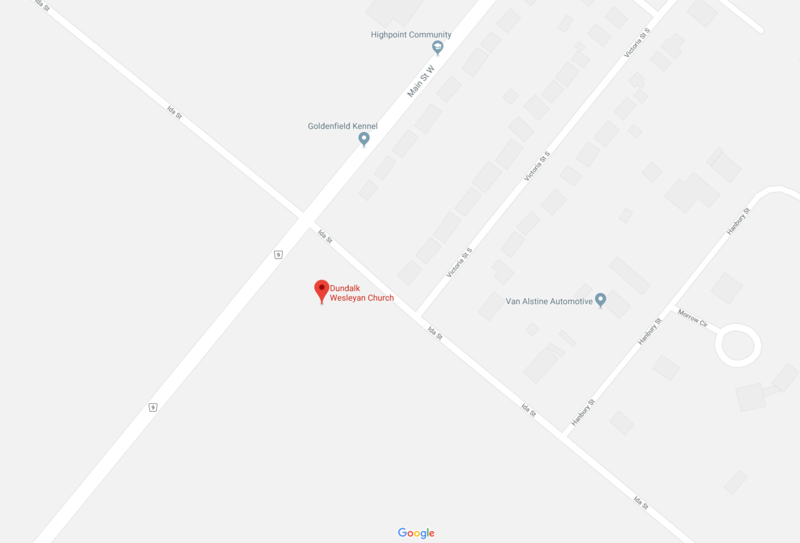 Dundalk Wesleyan Church is a friendly, family oriented church dedicated to knowing and loving God and each other as we share the Good News of Jesus Christ with our community and beyond. Our doors are open and we invite you to come and be a part of this exciting adventure with us. Our Sunday morning worship services begin at 10:30 (except in July and August when they start at 10:00am). We're located at 752202 Ida Street, (on the corner of Ida and Main Street) here in Dundalk.